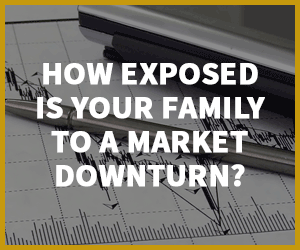 Home » How did the Gold price fare in 2015 and what it means for investors. How did the Gold price fare in 2015 and what it means for investors. A year is still a very short period of time when it comes to framing investment performance and it’s worth noting that gold’s ten year performance still averages 11% annual returns, despite the gold price in 2015 dipping. As Warren Buffet once said, ‘our favourite holding period is forever’. In addition to this, the falls of 2015 created an excellent buying opportunity. As gold was well off its peak, those yet to enter the market were presented with an ideal opportunity to do so. Gold in 2014 ended at $1,183.90 (per ounce) and closed out 2015 at $1,060.30. In Sterling terms, this represents a more modest gold price fall of around 6.5% during the year. This fall in the gold price was driven by a number of factors throughout the year, but the single most influential one was that investors were waiting to see what the US Federal Reserve was going to do with interest rates. With gold often priced in US$, any minor change in the US currency is analysed closely and there is little doubt that the mooted rate rise throughout 2015 – and eventual decision to raise in December – had a large impact. What does this mean for you in 2016? When the rate settled, gold began to rise almost immediately in 2016, with particularly strong price rises in February. The world economy also continues to encounter challenges, which historically suggests further strong performances for the price of gold. For those wishing to sell some or all of their holding at this point, this is obviously encouraging. Gold has hardly been below $1,200 since the start of February, representing potentially good profit – depending on when a purchase was made. These sharp rises are great news for investors wishing to release their capital and lock in profits. Even with these recent price rises being good news, the longer term – with a climate of economic uncertainty, potential ‘Brexit’ in the UK and an open Presidential race in the US – bodes well for gold. It’s still 30%+ off its peak in 2012, which suggests there is plenty of room for growth, especially in a climate likely to encourage upward price movement. Therefore gold still presents a fantastic buying opportunity for new investors, or those wishing to supplement current holdings. With gold price in 2015 behind us and a hugely positive start to 2016, it currently appears that next year’s price analysis could be a much more positive review. Tax year end: Is Gold the tax-free investment you’re looking for?